Hundreds of people took to the streets of Tokyo to pay tribute to the memory of a young Japanese woman killed by a US marine a year ago and to protest the relocation of the US base in Okinawa. A separate rally was held in Okinawa prefecture. 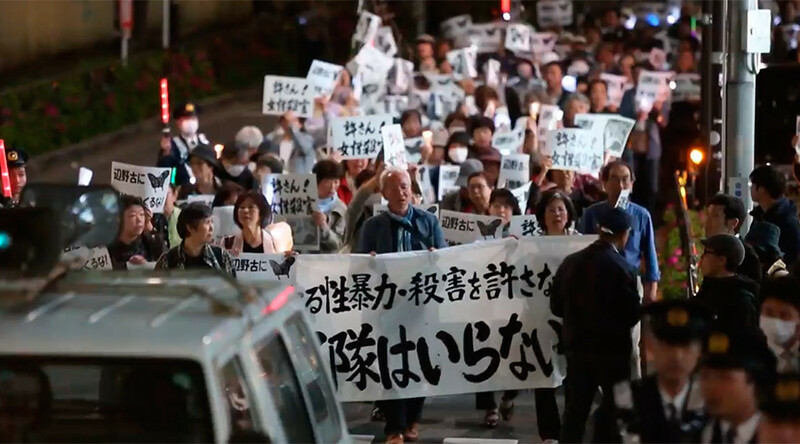 The demonstrators in Tokyo marched through the streets holding banners including ones reading, “No base in Okinawa!” The father of the murdered woman also issued a message calling for the removal of the US military bases from the island prefecture, local media report. 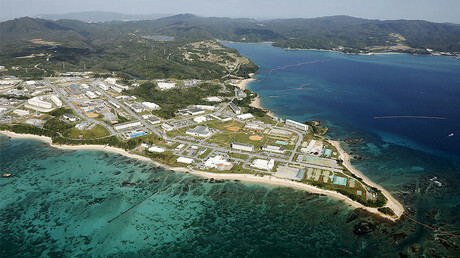 "Those incidents occur because Okinawa hosts US military bases. I want the bases to be removed without further delay, which is the wish of many Okinawa residents as well," the man said in his statement. "I have nothing to say to the defendant. We, the bereaved family, can never forgive him. We tolerate or trust no excuses from him,” he added. At the same time, he expressed his gratitude to all those people who expressed their support and sympathy to his family. "Our sorrow for losing our daughter will never disappear, but our hearts will always be with her and we will continue to pray for the repose of her soul," he said. On April 28, 2016, the 20-year-old woman, Rina Shimabukuro, was raped and murdered by a 32-year-old civil contractor and former US Marine Kenneth Franklin Gadson, who goes by his Japanese wife’s family name of Shinzato. He admitted that he had strangled and stabbed his victim. 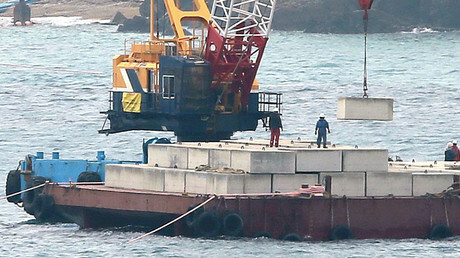 The incident provoked a wave of outrage in Japan. In June 2016, at least 50,000 people protested against heavy US military presence in Okinawa following the murder. Okinawa Governor Takeshi Onaga and some officials from opposition parties also took part in the rally at the time. Facing public outcry, the US military has introduced curfews, movement restrictions and an alcohol ban off base, lifted 11 days after it was imposed. In the meantime, another rally was held in the Henoko district of the city of Nago located in the Okinawa prefecture. Some 3,000 people took part in that demonstration, according to the local media. The protesters, who came to express their discontent with the relocation of the US Futenma air base to the Henoko district, also began their rally with a minute of silence in the memory of the murdered woman. The protesters gathered in front of Camp Schwab, the US military base located in Henoko. The demonstration was attended by the Nago city mayor. In the meantime, the construction of the new US military base in Henoko took another step forward despite strong opposition from local residents. On April 25, cranes started dropping nets containing crushed rock along the shore north of Camp Schwab. The rocks will likely serve as the foundation of a seawall built along the outer perimeter of the planned runway site, according to The Asahi Shimbun newspaper. Full-fledged landfill work inside the sea walls is set to take place in the first half of next year. Katsuhiro Yoshida, a senior Okinawa prefectural official, who particularly deals with issues concerning the US bases in the area, said that the move “ignored the local will” and is “authoritarian,” adding that the local residents simply cannot accept it. Okinawa hosts about 75 percent of all US military installations in Japan, and is an important geopolitical outpost for Washington allowing to project power in the region that neighbors China and Southeast Asia.